Participants may bring their own copies of the recommended books to the course or may purchase them at the registration table before the start of the course. All materials required for the course will be provided. Textbooks and teaching materials (a $65.50 retail value) will be provided to participants for the course. Participants will build on the knowledge gained during the Ward I course using a newly composed Ward songbook. Gregorian Missal, Graduale Romanum or Liber Usualis. * Note: Although it is recommended that each student have their own copy of at least one of these books, some loaner copies may be available on a first-come, first-served basis. Gregorian Missals and Graduale Romanum will be available for sale at the CMAA book table. Br. 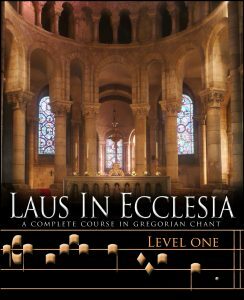 Mark Bachmann will teach Clear Creek Monastery’s Laus in Ecclesia – Level One. This course is offered for the first time this summer and will use the newly-published Manual Laus in Ecclesia, Level One, newly revised and translated from the French edition. Wilko Brouwers of the Netherlands joins us this year for Ward II – Intermediate. 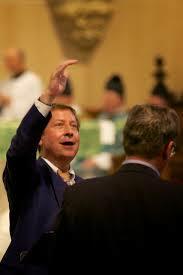 He has taught both chant and polyphony at the CMAA Colloquia since 2004 and has developed a loyal following among CMAA program attendees. We are indeed fortunate that his schedule will allow him to also teach this course. As a music educator, Wilko Brouwers teaches choral conducting at the Utrecht Art Center in the Netherlands. Internationally, he has taught workshops on Gregorian chant in Auburn, Alabama, Still River, Massachusetts, and Pamplona, Spain. 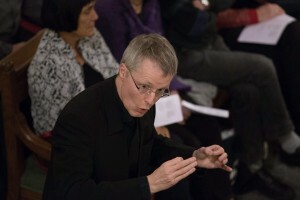 Brouwers is the author of Stepping Tones, a method of sight reading for elementary schools and children’s choirs based on the Ward Method. His Words with Wings: Gregorian Chant for Children in Twenty Lessons has been published by the Church Music Association of America, with both student and teacher’s workbooks and demonstration CDs. Dr. Jennifer Donelson will be teaching this summer’s Chant Intensive course. Donelson is an associate professor and the director of sacred music at St. Joseph’s Seminary (Dunwoodie) in New York, where she also teaches sacred music courses in the St. Cecilia Academy for Pastoral Musicians. Donelson has previously served as an Associate Professor at Nova Southeastern University in Fort Lauderdale. 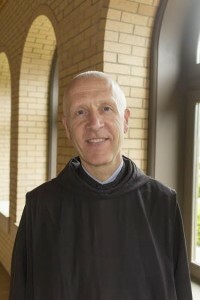 Having studied Gregorian chant at the Catholic University of America and Abbey of St. Peter in Solesmes, France, Dr. Donelson has served as the director of music at St. Gregory the Great Seminary (Diocese of Lincoln, NE) and St. Thomas Aquinas Newman Center (UNL). 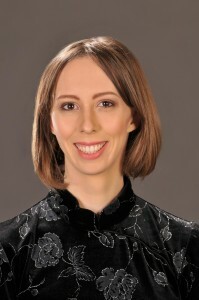 She currently directs the Schola Cantorum of St. Joseph’s Seminary and teaches Gregorian chant to children using the Ward Method at Neumann Classical School (Tuckahoe, NY) and Colm Cille Club (Pelham, NY). She has given diocesan workshops in Gregorian chant across the U.S., is a co-founder of the annual Musica Sacra Florida Gregorian chant conference, and has served on the faculty of the annual colloquium of the Church Music Association of America. 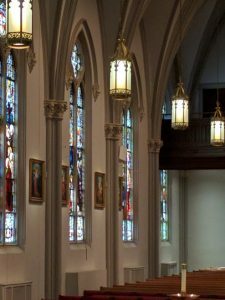 While in south Florida, Donelson directed the scholae cantorum at St. Michael the Archangel and Sts. Francis and Claire parishes in Miami, and taught according to the Ward method in the children’s choirs at the Oratory of Ave Maria, FL. She has co-edited Mystic Modern: The Music, Thought, and Legacy of Charles Tournemire, recently published by the Church Music Association of America (CMAA). Her publications also include articles in the New Catholic Encyclopedia, Sacred Music, Antiphon: A Journal for Liturgical Renewal, the proceedings of the Gregorian Institute of Canada, and Liturgy in the Twenty-First Century (Bloomsbury/T&T Clark). She serves on the board of the Society for Catholic Liturgy as well as the CMAA, is the managing editor of the CMAA’s journal Sacred Music, was a co-organizer of the Sacra Liturgia USA 2015 conference in New York, and a speaker at Sacra Liturgia UK and Sacra Liturgia Milano. Mail-in and online registration can be completed now. To To register by mail and pay by check, complete the registration form for your desired course and mail to CMAA, PO Box 4344, Roswell, NM 88202. The discount code for members has been sent to our member list by email. Please contact Janet Gorbitz or call 505-263-6298 for questions about your member discount code if you have not received it. If you wish to pay your registration fees in installments, please use the mail-in form. Please note that tuition payment must be made in full by May 31st for regular tuition rates. UPDATE: REGISTRATION IS NOW CLOSED. Tuition includes all sessions and supplemental materials as well as coffee breaks as described in the schedule. No meals are included in this tuition. All meals will be taken at the university dining hall. Payment is made at the entrance to the dining hall on a pay-as-you-go basis. Ward Course participants will receive all course materials upon arrival. Chant Intensive participants may bring their own copies of the recommended books to the course or may purchase them at the registration table before the start of the course. Other needed materials will be provided. Laus in Ecclesia participants will receive course materials at registration. The week’s events will culminate with Mass in the campus Chapel on Friday. Regular Registration (deadline: May 31, 2016) for CMAA members is $400, including nonrefundable deposit of $75. Non-member price is $450. Payment must be made in full by May 31st to receive this rate. Space is limited for the courses, but late registrations will be accepted if space is available after May 31, 2016. The late registration fee is $50. To inquire about registration after June 7, email us at programs@musicasacra.com. Regular Registration (deadline: May 31, 2016) for CMAA members is $350, including nonrefundable deposit of $75. Non-member price is $400. Payment must be made in full by May 31st to receive this rate. Space is limited for the courses, but late registrations will be accepted if space is available after May 31, 2016. The late registration fee is $50. Regular Registration (deadline: May 31, 2016) is $375, including nonrefundable deposit of $75. Payment must be made in full by May 31st to receive this rate. Dormitory lodging is available on the Duquesne University campus within easy walking distance of the Mary Pappert Music School. Participants will stay on the Duquesne campus in Vickroy Hall, located on the east end of campus. Temporary parking is available on Vickroy Street while you unload your belongings. The entrance desk will be secured with round the clock desk staff and equipped with ID card access, so late arrivals are no problem. You’ll receive your room assignment and room key at the front desk of Vickroy Hall. Upon checking in, please make sure the room key is compatible with the lock. If there are any issues, guests are encouraged to see the front desk immediately. You can access a campus map by visiting the Duquesne University website here: Campus Map. The rooms are arranged in suite arrangements, with two rooms sharing a bath between. Rooms are single or double occupancy. Linens will be provided, including sheets, one pillowcase, two bath towels, two washcloths, one pillow and one blanket. If you like to read before bedtime, bring a small book light for your convenience. Other items to bring: hangers, drinking cups, all toiletries (including blow dryer). If you have special medical or dietary needs and require a refrigerator in the room, please contact us at programs@musicasacra.com immediately to reserve one of a limited supply. There is a $10 charge for a refrigerator rental. All residence halls are air-conditioned. The University is patrolled by sworn officers 24 hours a day, 7 days a week. You may register for a single- or double-occupancy room for your stay. Rates are $50/night for a single or $40/night for a double, including linens. If you request a double (shared) room, please email us at programs@musicasacra.com with the name of your preferred roommate. If you do not designate a roommate, we will assign one to you. If we are unable to assign a roommate to you, you will be responsible for the single rate. Hotel Accommodations are also available at the Marriott Pittsburgh City Center, 112 Washington Place, Pittsburgh, PA 15219, telephone: 1-412-471-4000. Rooms are available at the special conference price of $159 per room per night, plus tax, for single or double rooms, up to occupancy of four per room. Make your reservation before June 5th, 2017 to get the special group rate. Requests received in writing at the CMAA Office (by mail or email) by May 31st will receive a refund less the nonrefundable $75 deposit. Refunds will be processed after the Summer courses have concluded. Any requests for cancellation after May 31st will only be processed if a replacement from the waiting list is able to take your place.